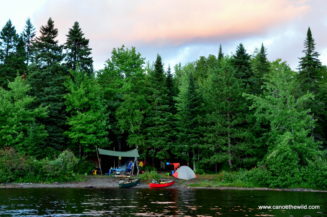 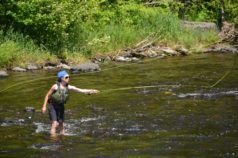 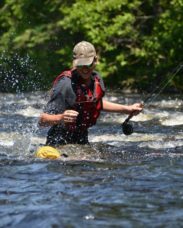 An excellent back country whitewater canoeing adventure, Webster Stream trips are available all summer long for adult, scout and youth groups looking for exciting back country whitewater canoeing adventure in Maine. 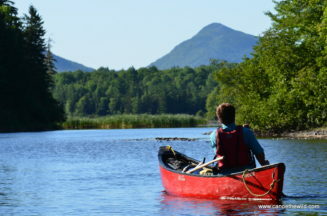 Being in reasonably good physical condition and having good basic canoeing and camping skills required. 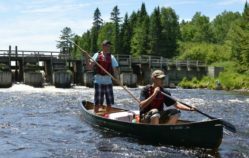 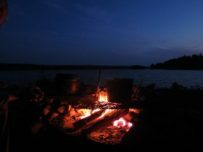 Starting in the Allagash Wilderness Waterway at the Chamberlain Thoroughfare or Telos Landing, we sneak out the ‘back door’ of the Allagash via the Telos Cut. 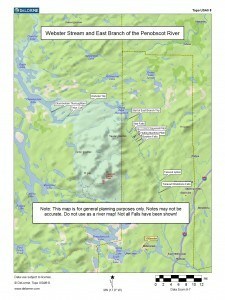 This is the route that Henry David Thoreau traveled more than 150 years ago on his way to Bangor. 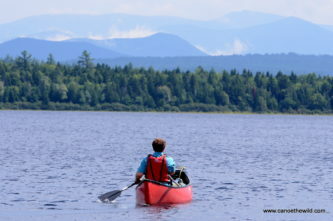 Below Telos Lake, we paddle the mile-long Telos Cut to Webster Lake. 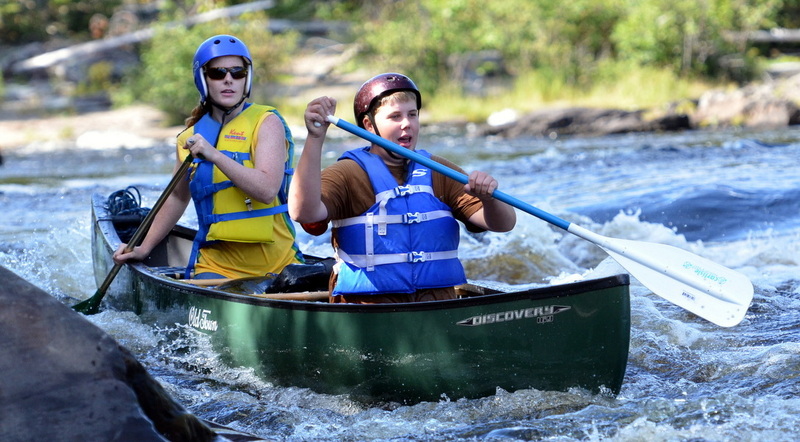 It is 3 miles across Webster Lake and 6.5 miles to Indian Carry, a rapid that can be run or lined. 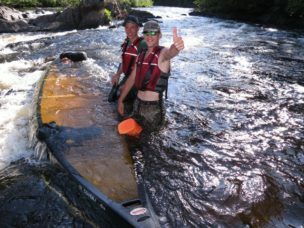 The next 2 miles to Grand Pitch has several ledge drops that can be paddled or carried. 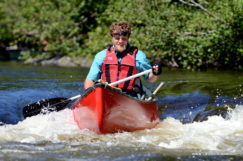 Grand Pitch is a mandatory 1/2 mile carry. 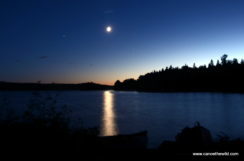 Shortly after is Grand Lake Matagamon. 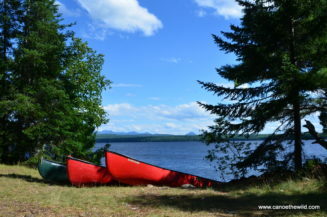 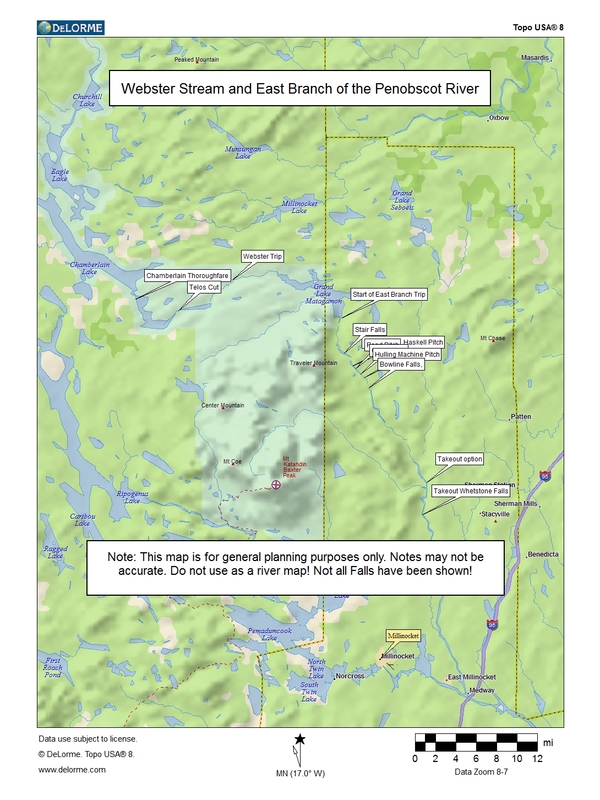 It is 8.25 miles down lake to the Dam, or take out at a landing near the north entrance to Baxter State Park. 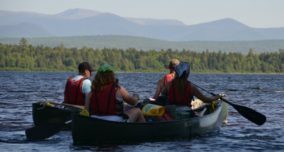 (Includes all shuttle and transportation cost, North Maine Woods day fees, Allagash Wilderness Waterway & Baxter State Park camping fees). 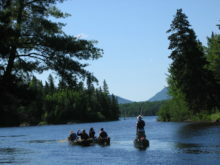 Trips over 4 days in duration, add $250.00 per person, per day. 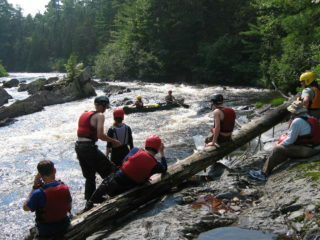 Inquire about discounts for youth, school and scout groups. 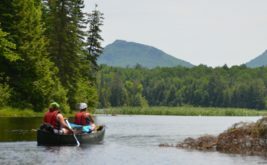 Teens ages 14-17 15% off when there is at least four in the group paying full price (your party or combined parties), minimum group size is 6, inquire about doing a trip for less the 6 people .